Impressum Herausgeber: HafenCity Universität Hamburg, Prof. Dr.-Ing. Wolfgang Dickhaut Druck: FSC®-zertifizierte Umweltdruckerei Print Pool GmbH Auf dem kleinen Feld 15a, 65232 Taunusstein | Tel. : +49(0) 6128 48 92 111 Skellstraße 9, 67550 Worms | Tel. : +49(0) 6241 49 60 870 Vertrieb: HafenCity Universität Hamburg, Prof. Dr.-Ing. Wolfgang Dickhaut Umweltgerechte Stadt- und Infrastrukturplanung Kontakt: Sonja Schlipf, Gionatan Vignola Tel. : +49 (0)40-42827-5347 | e-mail: sonja.schlipf@hcu-hamburg.de ISBN: 978-3-941722-66-8 Layout: REAP 8. Generation nach den Gestaltungsrichtlinien der 5. 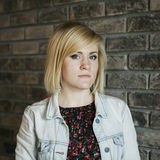 Generation (Bettina Steuri) Diese Veröffentlichung ist urherberrechtlich geschützt. Sie darf ohne vorherige Genehmigung der Autoren/Herausgeber nicht vervielfältigt werden. AcknowledgEment This research was developed from the cooperation between HafenCity University Hamburg and the Cairo University. We are grateful to the German Academic Exchange Service (DAAD) who made this German-Egyptian research exchange possible. We are thankful to our supervisors Sonja Schlipf and Gionatan Vignola who supported us with their profound expertise for the development of our projects. We are also thankful to the Cairo University, Prof. Sahar Attia, Prof. Heba Khalil and Dr. Sherin Gammaz for the warm welcome in Egypt and the fruitful cooperation with their students. Furthermore, we would like to extend our gratitude to the organisers of the excursions from both institutions as well as all participating students, who created this inspiring content. (DAAD) who generously provided support for this project. takes place in a different setting of real conditions abroad. on the aforementioned REAP topics in the case of Cairo. authorities were addressed during these input sessions. sustainable urbanism, energy and waste and material. - Wasteaid project. Case of Sheikh Zayed City. - A [public] land scape. Solar souq in Sheikh Zayed City. - Design of open spaces on block level. Integrative urban design and renewable energy. tract 650,000 inhabitants to the city by 2020 (Sims, 2015). zation pressure on it is not decreasing (UN-Habitat, 2014). the city, no industrial areas are designed. to western standards for residential development. Therefore, GC can be divided into three urban area types. of the inner-city by construction on agricultural lands. still too high for them to afford. River for consumption, irrigation and industrial activities. show the freshwater withdrawals per capita in Egypt. of prices was expected to improve water management as the country tried to deal with looming shortage of the essential commodity. & ecological system of a city. connecting individuals and providing functional spaces. option for a good sustainable urbanism approach. that population density within these zones remains low. blic services and green buffer zones. Figure 11: Cairo city scape. (Rayaprolu, 2017). order to develop new renewable projects. recognized. Egypt’s increasing population and financial (modern) improvement prompted a noteworthy ascent in the interest in energy commodities resulting in an energy demand in crease in all sectors (private, transportation and mechanical) (Hegazy, 2015). Gabel El-Zayt areas (Al-Salaymeh.,et al, 2016). industries (Egypt’s vision - 2030, 2015). ments in the energy sector (Hegazy, 2015). demand (Ministry of Environment, 2018). Figure 14: Energy consumption tracking meter at a resident’s house in Sheikh Zayed, Cairo. (Rayaprolu, 2017). area which covers 85% of the neighbourhood. they proved futile bearing no positive results. a polluted, unhealthy and non-aesthetic environment (Annual Report for Solid Waste Management in Egypt, 2013). This 60 % of MSW is mostly collected by informal collectors such as Zabaleens (71%) and dump/street pickers (4%). Only 25 % of them are collected from small size manufacturing. The recycling process of the MSW is very low, only 20 % is recycled according to GOPP (2012). mercial and religious services are placed in these centres. cled based on GOPP, 2012.
service. The process is the same as the Zabaleens, but the profit is higher. platform (WasteAid App Company) as our topic. For the project, the households of the neighborhood are the target group. The direct stakeholders are private MSW operators, composting operators, recycle companies, biogas to energy companies, formal and informal recycles and international development organizations (of which many already exist in Greater Cairo: e.g.EMPOWER, ECARU, RecycloBekia, etc). Other important groups of stakeholders are the local authorities, the app company that we are creating and NGOs. The aim is to bring them all together to collaborate in the best way possible, according to their interest and power. the cultural background of households who hire informal collectors to pick their waste. Non-users waste can be collected, without any separation, into a station and the segregation is made there, guaranteeing a correct division for the recycling company’s collection. The user’s waste bag is identified by the employee and the incentive is repass to the user via the app. With it, users can request services and pursue new products. The recycling companies buy valuable waste, whereas the organic waste is directed to the biogas and fertilizer companies free of charge. non-separated content. The estimation of storage volume was made for the entire community, understanding the scale and the number of stations required. Organize Launch - market exp. first 100 clients, focus on adding big recycling companies. b) Repairer Subscription Fee - which is standard and implemented since the first year of the project. waste that is traded with recycling companies. points according to the weight and predetermined value. 3. Percentage of service fee - this applies to all types of repair / upcycle or second hand selling, service customers available in the platform. can create and holistic system along with managing MSW. urban farming and organic food/ restaurants as an end product, where our strong 500,000 household (by end of 3rd year) user base drive consumption of organic food get a discount of 20% when they redeem them with points. There are effectively 133 people employed per WasteAid center paying a salary of 1,600 EGP towards a center. Which account for 24,000 EGP in 1st year, expanding to employing almost 2,200 people by the 5th year. All in all the total salary to be paid by WasteAid is around 660,000 EGP from 1st year to 45,996,166 EGP by the 5th year. Our net income (EBIDTA) will be in negative, -8% in 1st year, subsequently increasing to 36%, 54%, 60% and 59% in 2nd to 5th year respectively. Whereas the net income of -70,009 EGP in 1st year increasing to 1,048,195 EGP (12,000 household) in 2nd year to 14,116,337 EGP (with 100,000 users) and 92,654,913 EGP in 3rd (100,000 household) and 5th year (500,000 household) respectively. ical entity, Execution, Monitoring, and Launch or closing of phase 1.
the city’s ‘Circular SMART Economy App’. tive, as well public perception for improving cleanliness. Let’s make it better with what we throw away! the success of the enterprise and a further developed plan. 2016; SuĹĄnik, et. al., 2014; Tahrin News, 2017). involved and advocate for it. maintained, littered and with broken furniture. How can we minimize the impact of climate change and water scarcity on a neighborhood while enhancing the livability? the area pleasant and inviting with its microclimate. pumped and stored in a collection tank. age characteristics, as well as the tree’s mature shape; i.e. plied in the development of the tree allocation scheme. lowed by roadside (33.1%) and outer courtyard (26.8%). cooler microclimate can be achieved. plus and local job opportunities. land, dedicated as a future service area. support, which are both part of the association. volvement of eight major stakeholder groups (Figure 13). Towards the south of the given plot, public open spaces for children (playing, soccer, dancing), flexible space for events, seating for all generations and an educational pavilion are suggested. There are four types of modules that we proposed as one possible outcome of our strategy. Overall, the various sizes of the modules allow different solar gains and thereby electricity generation and revenue. This aspect can be used to encourage vendors of different scales to rent these spaces as the costs depend on the size, operating costs and solar gains. Besides the area for PV panels, further cost factors for the development of a solar souq were considered and calculated. These factors include land price, construction price, electricity generation and energy consumption. Ideally, the generated energy covers the whole electricity demand for the solar souq creating a high level of self-sufficiency. from physical site characteristics to lifestyle and traditions. renewables and site occupancy area. conditions. The educational dimension, in this case, was achieved through showcasing of renewable energy. Our own calculations for different design versions show, that the generated electricity on site allows the self-sufficiency of the Solar Souq and eases the inclusion of local and small-scale vendors by offering lower rents. By that measure, we conducted that the inclusion of solar energy can act as the binding link between social inclusion, education and an affordable lifestyle in El Sheikh Zayed City. Practical risks, such as limited basic official information and necessary further on-site investigation, are worth mentioning. For an improved and achievable, solid outcome, a coopertation with local authorities or governmental entitites would be necessary to ensure data availability and consider legislative boundaries in more depth. tions and initiatives in support of sustainable solutions. bourhood has a school, a mosque and a commercial zone. as complaints about high electricity bills. 2013). 30% of the total area is covered by green spaces. materials and forms, as well as complexity of the structure. after could be replicated throughout Sheikh Zayed. access to the courtyard zone. in tariff (FiT) rates for renewable energy were introduced. design and solar energy for the block. Joint Policies and Measures database, 2016). lighting of the projectâ&#x20AC;&#x2122;s open space. a conjoined urban design and energy project. electricity bills and a well lit courtyard. we implemented the participatory design as a method. block for 10 hours during the night. failure and in turn, the costs of the project. years. Another option is to not involve the doorkeepers . with a recovery period of 6.6 years. different uses for each target group. ny and the private investor. plicable in the study area in Sheikh Zayed. always taking privacy into consideration. as part of a more holistic urban development program. a deadline for each indicator. essary recommendations for improvement will be made. Figure 01: Distrct view (Santos, 2017). m2/yr more compared to the standard target. to the entire neighborhood (Figure 02). lations, geographical situations and climate information. - Solar PV panels (active). Figure 02. Project site plan in Sheikh Zayed and the selected building circled (Google maps, 2018) The study was focused towards two main aspects of energy efficiency. One aspect dealt with building energy and the other aimed at consumer behavior. The study process was carried out in sequential steps starting from data collection at the site, building energy simulation and final analysis of the results. Figure 05. From left a) Elevation details, and b) Project logo (Authors, 2018). duction, which has a low impact. compared to the existing conditions. the Egypt standard EUI level. gy via solar PV panels was introduced as an active strategy. the government to realize the project’s passive strategies. gy appliances, a meter tracker, and an energy tips catalogs. reducing energy demand (Figure 06). for the dominant energy segment (lighting and cooling). effectiveness in reducing energy demand. fans for cooling due to the hot climate. which residents use for some routine activities. We chose the third option (Figure 08), which is more economical and covers only half of the roof area with PVs leaving the other half for residents to use. Generated power in this option can cover 31% of building energy demand. tions can lead to an increased security of the project. building energy demand is 116,220 kwh/y per building. behavior strategy, we reduce the energy demand by 9%. Euros within these stated percentages (Figure 10). 30 years is calculated for this project. 83,180 kwh/y per buildthe grid, per building. city was founded 32 kilometers west of Cairo’s city center. opportunity to build community amongst neighbours. produces water for the irrigation of public open spaces. 2. the scope of the project related to “resource efficiency”. in Cairo is important between the people of low income. the neighborhood will help rejuvenate it. rejuvenate the space as an actual neighbourhood centre. tion in that area would contribute to the larger picture. specially corners and the centre by integrating them. This would lead to establishment of an entity binding the premises and the entire neighbourhood. in the corners to add water element in the outer periphery and to irrigate the green spaces of the neighbourhood via connecting short pipes (Figure 02). Secondly, remaining courtyard spaces are assigned with target groupâ&#x20AC;&#x2122;s needs, relatable to cultural acceptance, such as a shared oven and workshop space for the ladies, cemented football field for the sports enthusiasts (Figure 01, 04, 05). Integrating a specific use will not only help in fulfilling the needs of the community but will also develop a sense of ownership and a reason to maintain it. al, sporting, play and social needs of the community. system to be around 42,000 Egyptian Pounds. low maintenance cost, as the CBO will be taking care of it. health benefits for individuals and the community. organized and structured communal effort. sentatives that form the foundation of the organization. its needs to external stakeholders. by the honorary committee is dependent on volunteers. Figure 01: (a) Urban scene, Cairo, (b) The Citadel, (c) The Great Pyramid of Giza (Rayaprolu, 2017). waste producers and customers of specific kinds of waste. are some set of limitations that each of these projects face. promising, suitable, feasible, and viable in Sheikh Zayed. ities and activate the economy. ient cities of the future. Bullermann, M, Lücke, F.-K., Mehlhart, G. and Klaus, U. (2001). Grau- und Regenwassernutzung Kassel-Hasenhecke: Hygienische und Betriebstechnische Begleitunteruschungen. fbr-Schriftenreihe, Band 7. Essam Al-Din, M. A. (2003). Evaluation of the Egyptian Experiment in Establishing the New Towns in the Desert Areas.” Journal of Engineering Sciences (JES) 31 (1). Assiut University. city and Irrigation Efficiency in Egypt. Water Economics and Policy, Vol.2, No.3 Othman, Z., Aird, R. and Buys, L. (2015). Privacy, modesty, hospitality, and the design of Muslim homes: A literature review. Retrieved from https://www.sciencedirect.com/science/article/pii/S2095263514000740 Office of the deputy prime minister. (2004). Safer places: the planning system and crime prevention. Retrieved from https://books.google.de/books?id=5iiHuJoH0XkC&printsec=frontcover&hl=pt-BR&source=gbs_ge_summary_r&cad=0#v=onepage&q&f=false Sharifi, A. (2016). “From Garden City to Eco-urbanism: The quest for sustainable neighborhood development”. Sustainable Cities and Society. 20: 1–16. doi:10.1016/j. scs.2015.09.002. Greater Cairo is facing the challenges of urban growth and physical expansion on desert land. 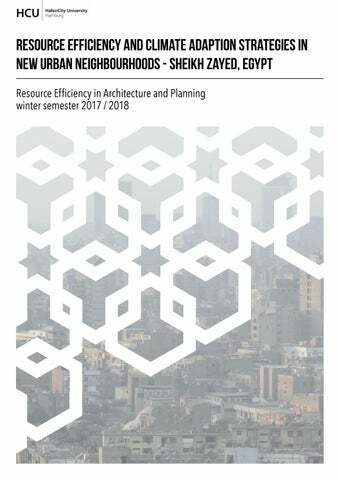 This brochure focuses on sustainable interventions for the satellite city of Sheikh Zayed, elaborated by the 8th generation of REAP students in collaboration with the Cairo University Faculty of Architecture.